C-axis Lathe offers breakthrough performance in its price category. Until now, if you wanted to hold tight tolerances while performance true C axis operations you would have to spend a ton of cash. Now, CENTROID introduces a new C axis machine that has full C axis capabilities at a lower price. 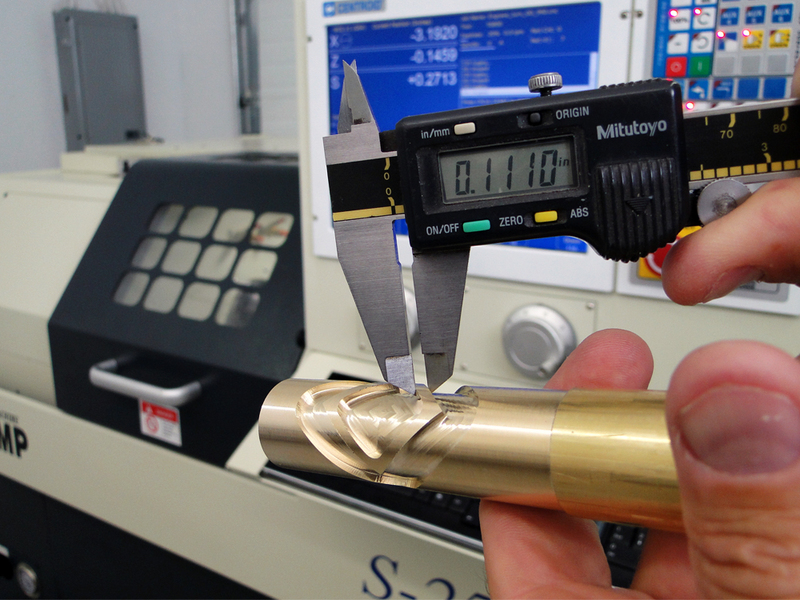 The secret to holding tight tolerances while C axis machining is all in how the C axis is driven. Many entry level C axis machines use the spindle inverter to drive the spindle motor, while this may be a cheap way to add basic C axis to a lathe, it has many limitations such as not being able to take a real cut or not hold good tolerances while moving the other axes simultaneously. The high end C axis equipped turning centers use expensive servo motor gear box drives which produce good results but, well.... they are expensive. So, CENTROID has developed a unique C axis spindle drive mechanism which outperforms the entry level machines by matching the tight machining c axis tolerances of the more expensive machines without the extra cost. CENTROID's unique C axis drive mechanism provides true SERVO motor C axis spindle drive. The servo motor driven spindle C axis provides superior machining performance while holding tight tolerances. Not to be confused with inferior inverter driven schemes! The CENTROID C axis mechanism is a zero backlash design and is gearless. This long life high performance design ensures years of reliable C axis operation. 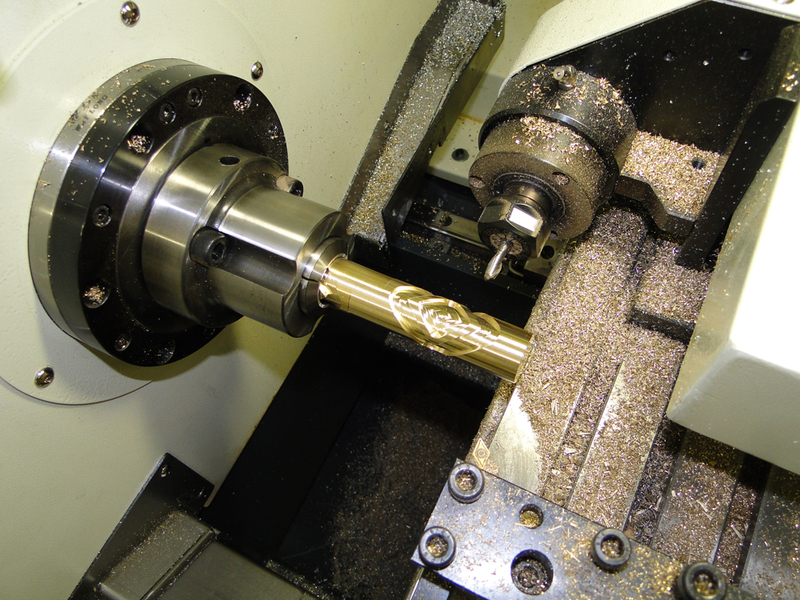 C axis live tooling combined with gang tooling for both c axis and regular lathe operations on the same part. 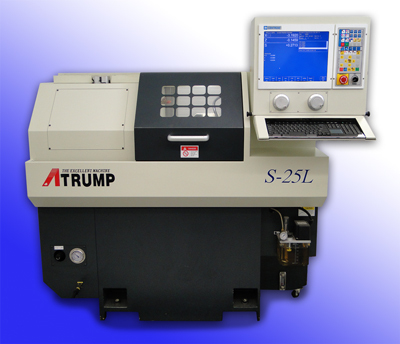 This machine has a collet style spindle nose with a foot pedal clamp/unclamp switch. Both the live tooling and the gang tooling is removable and adjustable. 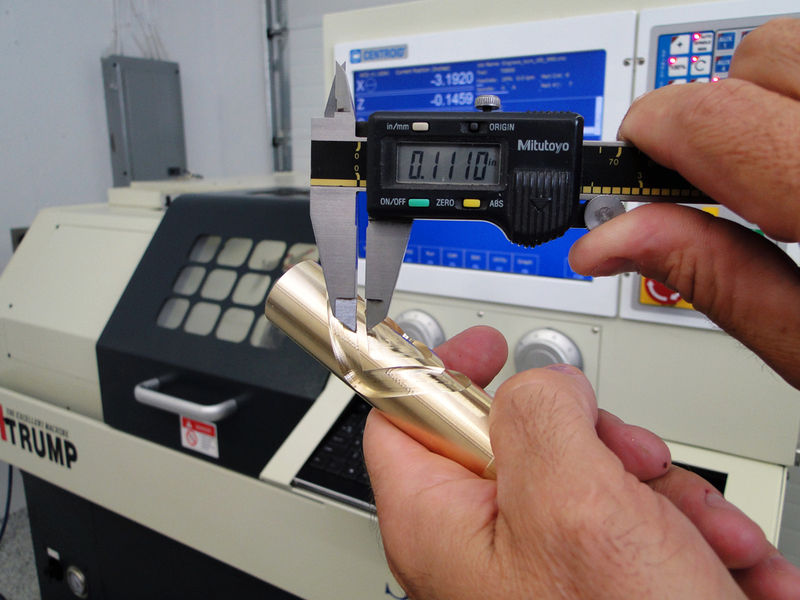 This particular test part is a torture test for a c axis lathe. Due to the geometry of this shape, machining this test part will reveal any limitations to the C-axis machining performance by checking the wall thickness tolerances on each of the four legs of the shape. Inverter driven c axis machines can not hold these types of accuracies. High dollar machine tolerances at a mid range price. Here we are showing the measurement of the wall thickness of the legs of the C axis test shape and the machine is holding tenths. Here is a download link to the G code program seen on this page.